In the first part of this series, we were introduced to the President of CONCACAF – the Trinidadian Jack Warner. 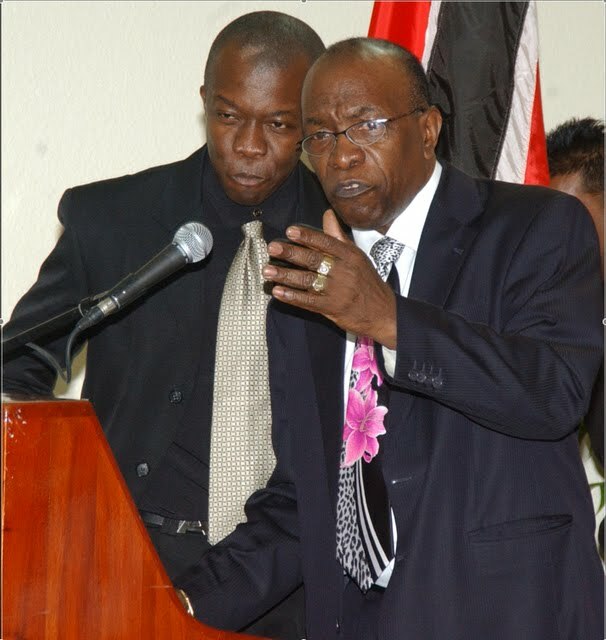 Warner was the man who was involved in substituting a mysterious woman – the wife of the head of the Jamaican Football Federation – into the place of the absent Haitian delegate in the 1996 FIFA Congress. He is one of Sepp Blatter’s closest friends and allies in football. “A wonderful and loyal friend. He is very competent and I just have to say that Jack is one of the top personalities in the world of football,” is how Blatter would describe the controversial Warner. However, his popularity does not reach quite such heights in his own backyard. In Trinidad, he is described by many as a dictator, who has built his power at the expense of others and who has used his position within FIFA to serve his own financial goals. He has been called a ‘clown’ and a ‘disgrace’ by Roy Keane, and is deeply unpopular with the Trinidad and Tobago national team players for reasons we shall see later. When meeting the Queen at Buckingham Palace, he complained to her that British companies were failing to spend their sponsorship money on football in Trinidad and Tobago. He has supported the corrupt former UNC government in the country, and estimates suggest that through his FIFA connections, he has amassed a fortune of almost £20m. His first role in football came as the general secretary of the Trinidad Football Association. He immediately entrenched his power by setting up numerous organisations filled with his people, who could exercise voting rights should he come under threat from a competitor. He rapidly spotted a chance for further promotion when he ran for the presidency of the Caribbean Football Union, which came with the added prize of a seat on the FIFA Executive Committee. One of the first instances where Warner came in for criticism over his seemingly insatiable desire to profit from football was back in 1989. Trinidad & Tobago were one result away from their first ever appearance in the World Cup. They needed only a point against the mighty Americans in Port of Spain to reach the global showpiece. Jack Warner announced that extra tickets would be printed for the game and that alcohol restrictions within the ground would be lifted. The capacity of the stadium was 28,500. The local paper accused Warner of printing over 45,000 tickets. Due to the crush of people, the ground was opened early. People crowded into the ground, filling every seat and aisle, whilst the bars served a roaring trade. Jack Warner relaxed in the VIP lounge with his pre-match drink, oblivious to the chaos outside. Thousands of angry fans, who had spent their money on tickets to Trinidad’s biggest match in living memory, were stuck outside, unable to get into the ground. Opinion turned against Warner, who became the target of the crowd’s anger. The minibus carrying the Trinidad players was unable to get through the crowd, and in the end, the players had to be carried over the heads of the masses and into the stadium. In the days following the chaos, Jack Warner had to backtrack on his original report to FIFA where he claimed that he had sold 43k tickets for the match. In a press briefing later, he claimed that they had only sold the 28,500 tickets that the stadium could cope with, and the turnstile figures of 34,834 were clearly wrong. Following the incident, Jack Warner resigned as head of the country’s football association, but had ambitions of a far greater nature. He was in negotiations with Chuck Blazer, commissioner of the American Soccer League, to challenge for the presidency of CONCACAF and become one of the most powerful men in world football. He eventually won the election with 16 votes compared with 10 against him. Despite the fact that the other candidates had all withdrawn, he was still only able to get just over 60% of the vote. We now fast forward twelve years to 2001. Jack Warner had managed to manipulate FIFA into awarding the U17 World Cup to Trinidad & Tobago. He named himself chairman of the tournament organising committee, an appointment that was approved by FIFA’s six-man finance committee (of which Jack Warner was a senior member) and the executive committee (of which Jack Warner was a vice-president). So, in other words, he appointed and then approved himself to organise a tournament that he had awarded to his home country. Five new stadia were built by companies linked to associates of Jack Warner. When technical staff from the broadcasting companies visited the new stadia, they discovered that roof beams and cables would obstruct the cameras views of the pitch. When they tried to question Warner and FIFA over this, they were sidelined. All the food and beverage contracts for the new stadia were awarded to a local restaurant business. Seems legitimate at first glances. However, if we look at the owner of the local business, we find the name Daryan Warner. Jack Warner awarded these lucrative contracts to his son. The fifteen teams that were travelling in to compete in the tournament needed a travel agency to arrange their flights and accommodation. On the recommendation of Warner, Simpaul’s Travel service, a family-owned travel agency, was awarded the deal. And which family was it owned by? You guessed it, the Warner family. We now head forward in time again to late 2005. Trinidad & Tobago have just qualified for the World Cup for the first time after Dennis Lawrence’s header beat Bahrain to send them to Germany. The only way that Trinidadians can get tickets for their team’s first round matches? Simpaul Travel Services. The company owned by Jack Warner. For a hefty fee of £2,730.53, fans would get tickets for the three group stage games and shared accommodation. According to a Trinidad journalist, Simpaul Travel were making a profit of over £1,700 on each package sold. Indeed, the Independent newspaper in England suggested that Warner could make a profit of over £10m on his country’s ticket allocation. A privately appointed committee was responsible for handling the sponsorship and merchandising for the team. Following a request from a London-based business, they requested a fee of US$80k, plus 5% of gross sales of the proposed merchandise. And who could the representative of this mysterious private committee be? Daryll Warner – another of Jack’s sons. How convenient. Indeed, FIFA regulations even stated that packaging tickets with other services is not permitted. So, Warner’s own company was completely ignoring FIFA’s own rules, whilst he was accused selling FIFA tickets for his own personal profit. And what of the players? They had been promised 50% of the commercial profit revenues during their qualifying matches and their World Cup matches in Germany. Warner’s own accountant drew up the accounts, but had mysteriously lost the copies of the hotel bills amongst others. No problem. They simply estimated the cost (higher of course), and moved on. He also decided that a third of the sponsorship money was really intended for the 2010 World Cup campaign, thus reducing the total pot by over £360k. 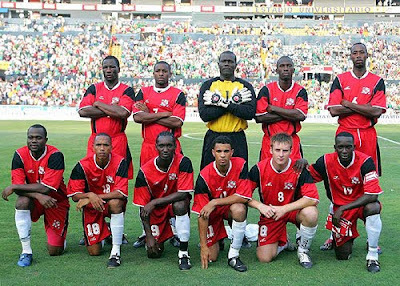 Overall, in excess of TT$173m (£17.4m) flowed into the coffers of the Trinidad & Tobago accounts from that campaign, with 50% of the revenues going to the players involved. So, how much did each player receive? A whopping £492.86. Shaka Hislop wrote to Warner complaining that “you have continually proven yourself heavily biased and opinionated in this matter.” Each player should have received in the region of £260k each. Significantly higher than the almost £500 they were actually offered. A judgement in the courts concerning that case is expected in the coming hours or days, but it begs the question as to what happened to all the money that seems to have disappeared. Unseen costs? Lost in transit? Or possibly lining the pockets of various officials? So while Jack Warner has controlled Caribbean football and CONCACAF with his almost dictator-like reign, he and his sons and friends have all been doing very nicely out of the money that should have been invested in football in Trinidad and the local fans. Is this really the type of man that we want in a senior position of power in the beautiful game?